New West Investment Management, Inc., was created to meet investors’ needs by combining personal financial service with professional investment results. Founded in 1990 by Peter V. Hedberg, New West is a registered investment advisor that manages separate investment portfolios on a discretionary, fee-only basis. 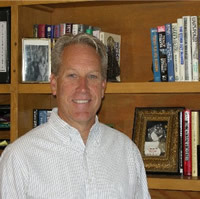 Peter graduated in 1983 from the business school at University of Colorado with a degree in finance. After six years in the investment brokerage industry, with the firms E.F. Hutton and Boettcher & Company, a vision developed that what individual investors needed was the accountability, low cost and investment results provided by the no load mutual fund industry combined with the experience and counsel provided by the best financial advisors. Furthermore, an improvement to the brokerage model made it necessary that the financial incentives of the advisor and client become more closely aligned, the investment portfolio required continuous management and fiduciary responsibility needed to be the foundation of the relationship. Finally, individual securities used in separate investment portfolios allowed for an advancement regarding transparency and tax efficiency while lowering costs as compared to mutual funds. New West Investment Management, Inc is an investment advisor registered with the State of Colorado, Division of Securities; the California Department of Corporations, Financial Services Division; and the Texas State Securities Board. Peter is a member of the CFA Institute, Colorado chapter. The mission of New West Investment Management, Inc. is to assist our clients in building permanent, long-term wealth in order to create and preserve financial independence. We think in terms of financial independence rather than of retirement. Financial independence is achieved when an investment portfolio grows large enough that distributing four percent annually, combined with other resources, generates the funds required to live on and meet other monetary goals. This financial freedom allows for the pursuit of personal interests independent of fiscal considerations. Obviously there needs to be an adequate cushion and permanence to the portfolio for one to achieve peace of mind regarding financial security. Wealth grows out of saving and successful investment in assets. While clients are responsible for earning and saving the income that becomes an investment portfolio, New West is accountable for the successful investment of assets.